What started with a giant ski jump has grown to offer skiing, snowshoeing, tubing, fat biking and more family fun. LEAVENWORTH, Chelan County — I’m gliding through a winter wonderland of evergreens. Through gaps in the trees I can see V-shaped valleys and jagged peaks where a freezing fog has left behind a dazzling white crust. The scenery flickers past and all is silent except for the soft buzz from my cross-country skis and a faint swish whenever I push against the freshly groomed corduroy track. I’m snaking through trails about two miles from downtown Leavenworth but I don’t feel anywhere near the famed Christmas lights or Bavarian-themed attractions. 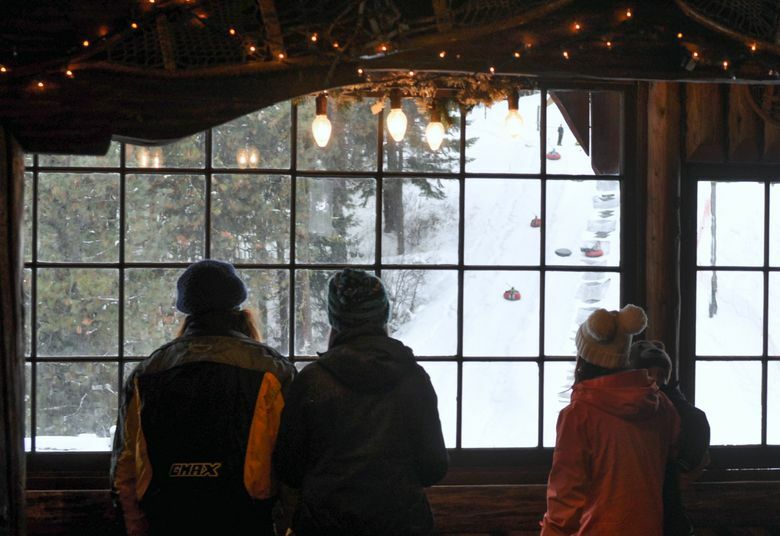 Leavenworth’s reputation as a quintessential winter destination is rightly deserved. But for many visitors, their experience begins and ends with the shops along Front Street. 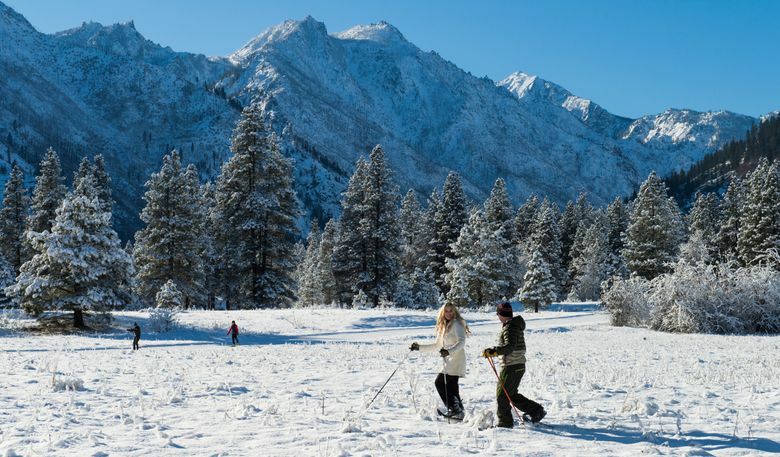 Meanwhile, those who want to experience the real heart of Leavenworth head to the Ski Hill. In 1928, a group of locals formed the Leavenworth Winter Sports Club and built an enormous ski jump that drew huge crowds. The U.S. championships were held in Leavenworth five times and on several occasions spectators saw the North American distance record shattered. 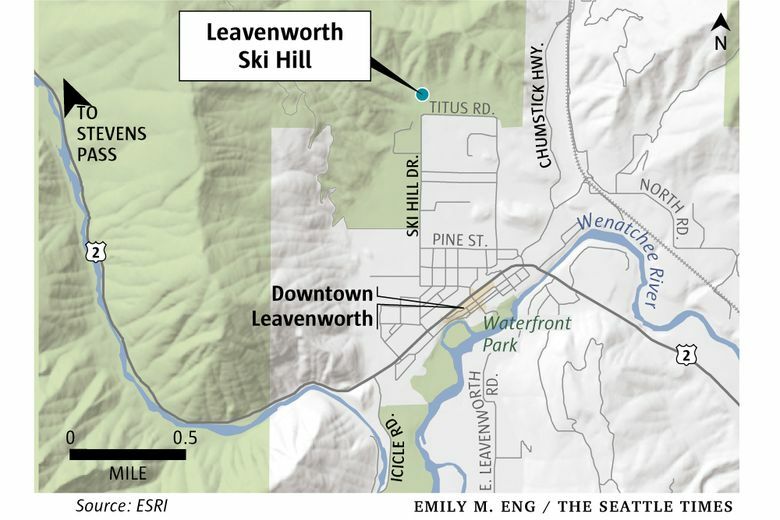 Over the decades, Leavenworth’s Ski Hill (10701 Ski Hill Drive; skileavenworth.com/locations/ski-hill) has morphed to become Leavenworth’s epicenter of outdoor activity. Like a kid in a candy store, I could have chosen other flavors of fun: tube rides, Alpine skiing, snowshoeing, ski jumping or fat biking. Or I could have done them all in a single day. Years ago, the Ski Hill was the first place I strapped on a pair of Alpine skis. I’ll never forget standing at the top and feeling like I was about to ski over a sheer cliff. Of course, now that same hill looks like a gentle bunny slope. 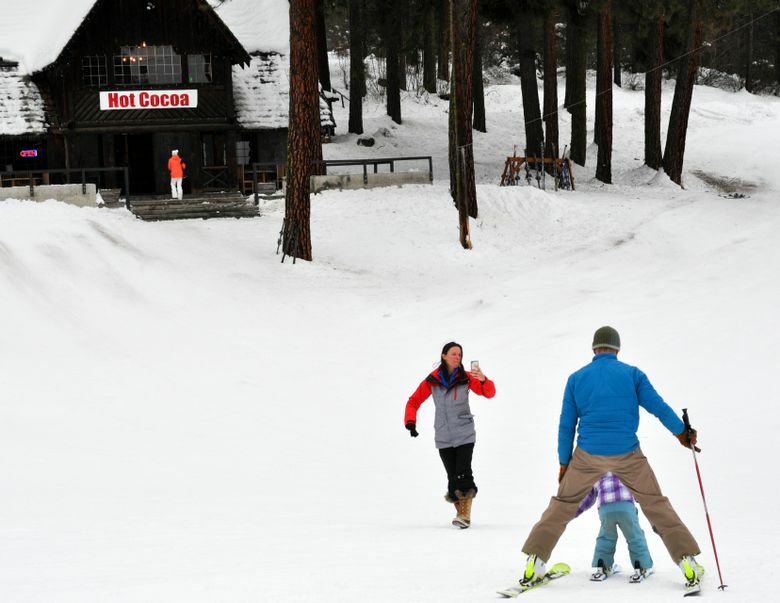 For decades it’s been a favorite (and inexpensive) place for Northwest kids to cut their teeth on downhill skiing and snowboarding. The Ski Hill offers two rope tows. One serves a small learning hill and the second feeds an intermediate hill to challenge your developing skills. 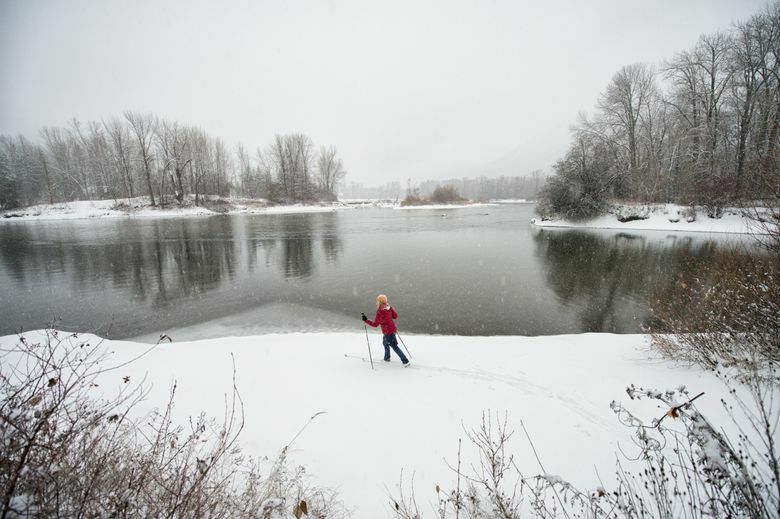 The Wenatchee Valley has quietly grown into a hot spot for cross-country skiing. At the Ski Hill, seven kilometers of groomed trails meander through National Forest land overlooking the town. Wide corduroy is ideal for skate skiing and the grooved tracks make it easy to enjoy classic style. A unique feature of cross-country at the Ski Hill is the 5K of lighted trails for night skiing. From the base area, you can still see the antique Bakke Hill Ski Jump. It’s impressively steep and easy to understand why visitors flocked to Leavenworth to watch the best jumpers in the world. While the big jump is no longer in service, you can put your courage to the test on a smaller jump near the lodge. It’s the only ski jump remaining on America’s West Coast. On weekends, novice jumpers make an appointment with a coach to learn the basics, starting with the landing hill and moving to a 15-meter jump. If things go well, graduate to the 27-meter jump. While you won’t soar Olympic distances, it’s one of the few places in the world the average person can try the sport, and it’s sure to get your heart pounding. During winter outings, there’s always someone who needs a low-impact activity. Snowshoeing is perfect for those with limited ability, since the only skill required is walking. Starting from the base area, designated snowshoe trails travel 8 miles around the ski hill. Along the way, kids will enjoy frolicking in fresh powder pockets. It’s a good way to get a closer look at the historic ski jump. Peek-a-boo views overlook the Leavenworth valley and surrounding alpine summits. When it comes to excitement, it’s difficult to find bigger thrills with zero effort like you get at the Lt. Michael Adams Tubing Park. Your tube attaches to a rope tow that transports you up a 100-foot hill at which point you’re guided to a snow channel for a plunge down a screaming chute. At the bottom you rocket through a set of banked walls to slow your descent before finishing at the lift line. The course can be so fast that operators often lay down friction mats to slow your descent. But even with all that speed, it’s safe enough for kids as young as 3 to ride alone. Personal sledding devices aren’t allowed at the tube park, but the sports club now offers sledding at its golf-course venue, 9101 Icicle Road. Bring your own sled; no steel runners allowed. Fat bikes are cartoonish versions of regular bikes but with bulbous tires that look like something from a Willy Wonka factory. They’re becoming a staple in winter-play communities since enormous knobby tires allow bikers to ride packed snowy trails. When conditions are right snowshoe trails are open for fat bikes. Nordic ski trails are open Sunday, Monday and Tuesday nights from 6-10 p.m. 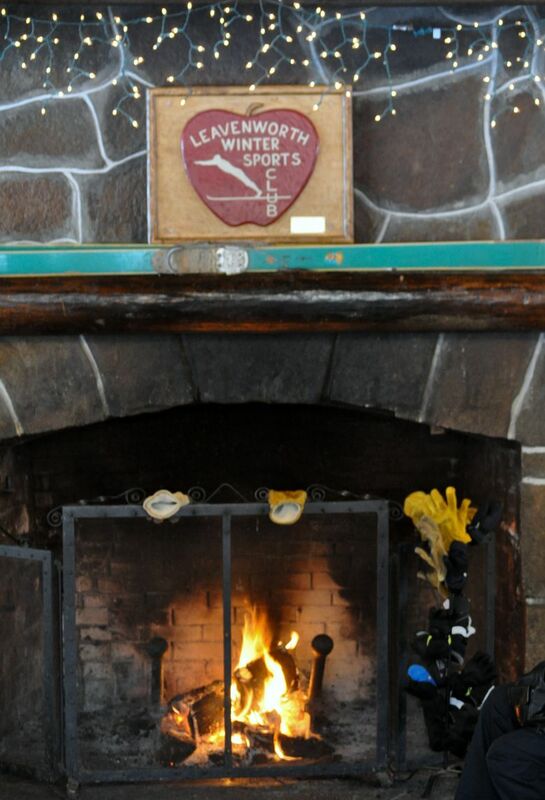 The vintage lodge in the center of the ski hill is everything you could want in a cozy mountain chalet. After frigid outdoor fun, a crackling fire and hot chocolate may be the highlight for youngsters. Built in 1936 it holds a place on the National Register of Historic Places as an example of a classic timber-frame lodge. Inside it’s filled with old news clippings from early ski-jumping days. On sunny days, the outdoor patio is the ideal spot to share après-ski drinks with new friends. 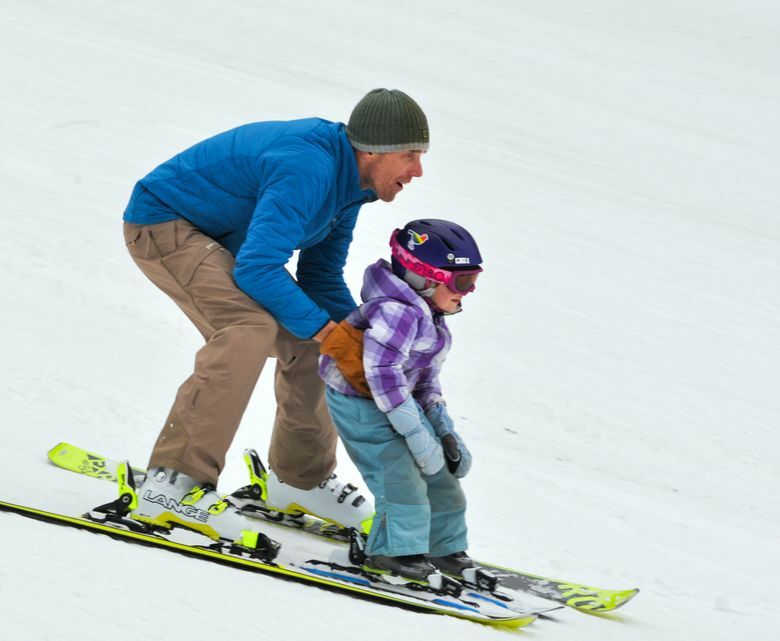 There is no gear rental available at the Ski Hill, but shops in Leavenworth can set you up. 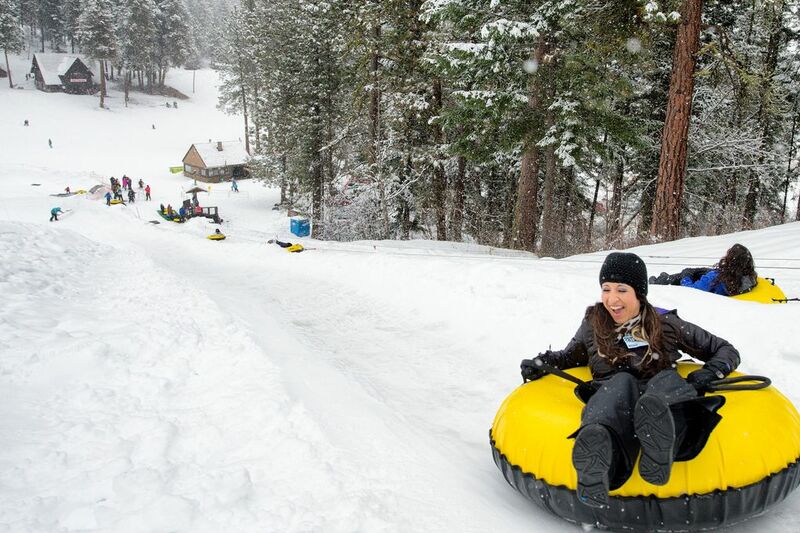 Inner tubes are included with your tube-park ticket. Freelance writer Jeff Layton lives in Chelan County. Follow his outdoor adventures on his blog, www.MarriedToAdventure.com.